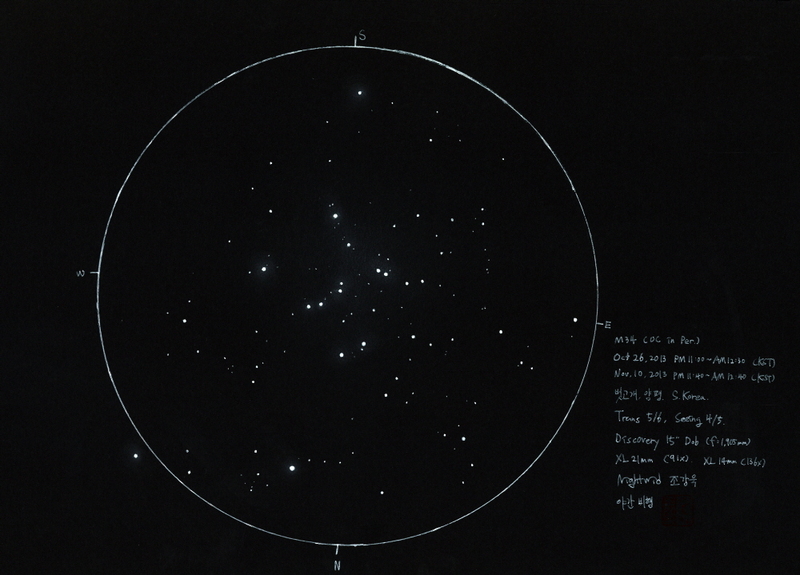 I observed M34 in Nov. midnight with my 15″ Dob. The center of M34 has big & bright ‘Y’ shape, and many lines follow the ‘Y’! It is very impressive and huge. I drew all of the stars in my eyepiece through two nights. But I couldn’t express M34 perpectly..
Who makes this fantastic star chains? Below link is my guide of star chains. The Creator placed the stars in the sky and He know them by name. Very nice sketch Nightwid. God bless your talent!! !